The main trade group for the nuclear power industry, the Nuclear Energy Institute, spent $540,000 in the third quarter lobbying federal officials about financial support for new reactors, safety regulations and other issues, according to a disclosure report. In the July through September period, NEI lobbied Congress, the Commerce Department, the Defense Department, the Executive Office of the President, the Departments of Transportation, Energy, State and Homeland Security Department, the Nuclear Regulatory Commission, the Office of Management and Budget, the Environmental Protection Agency and the Federal Energy Regulatory Commission, according to the report the NEI filed October 19 with the House clerk’s office. That’s 30 percent more than the $415,000 the trade group spent in the third quarter of last year and 7 percent less than the $580,000 it spent in the second quarter of 2011. NEI, based in Washington, lobbied the government on measures designed to ensure the nation’s 104 commercial reactors can withstand natural disasters, cyber attacks, and on a proposal that would require the president to issue guidance on a federal response to a large-scale nuclear disaster. It also lobbied on a measure that would require nuclear operators to transfer radioactive spent nuclear fuel from cooling pools inside or near reactor cores to dry casks further from the reactors. NEI also lobbied the government over environmental regulations. NEI lobbied for funds for research and development for smaller, cheaper reactors and other nuclear technologies, and also on a measure that would create an export assistance fund that would promote the export of clean energy technologies. After reviewing thousands of FOIA requests pertaining the to the Fukushima disaster after their release, it is also clear to see the role that the NEI played not only in writing and distributing pro-nuclear propaganda in the main stream media, they also had a hand in monitoring the radiation from Japan, as it hit the United States. In a case of possible contamination of federal information, the NRC sent this email out on March 24th, which explains the role that NEI played in communicating and collecting information pertaining to the potential risk to US Citizens. The email from the Nuclear Regulatory Commission details a request to the nuclear industry lobby group NEI [Nuclear Energy Institute] to get nuclear power plants involved in monitoring fallout from the Fukushima plumes. Which, if the industry and NEI wanted to, they’d forward to the NRC and the NRC would let the EPA know about it. Now, you might wonder why the federal regulators and licensers of all nuclear facilities in this country couldn’t (or wouldn’t) simply order the plants to report their environmental monitoring results directly. I’d wonder the same thing, except that the truth is that the NRC doesn’t really have any power over the nuclear industry anymore. NEI lobbies congress to get them to back off this or that regulation or rule, and the industry always gets its way. It wouldn’t hurt for all of us to know this and keep it in mind from here on out either, because once we understand that nobody’s actually minding the store we’re going to have to shut this industry down. These documents make that situation abundantly clear as we see NRC honchos begging a lobbying group to intervene on their behalf to reactor operators to help ’em get a feel for how bad things really are. The purpose of this e-mail is to ensure your awareness of an agreement between the Nuclear Energy Institute (NEI) and the NRC staff. 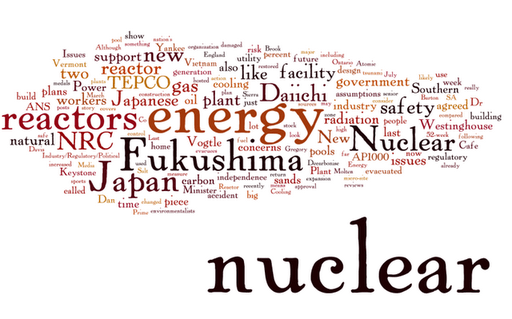 In summary, NEI has agreed to facilitate the collection and transmission of environmental data from operating reactor sites that is reasonably attributable to events in Japan subsequent to March 11, 2011. Once this information has been collected and organized NEI will forward this information to the NRC staff. NRC staff will ensure that this information is forwarded to the lead government agency, Environmental Protection Agency (EPA), for monitoring this type of information. NRC staff appreciates your efforts in providing this important data to NEI.